Not every product launch goes well, and three manufacturers have found themselves in very different types of difficulties over the past few days. 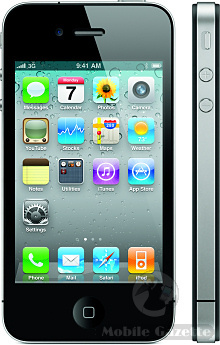 The Apple iPhone 4 was launched in a huge blaze of publicity with many mainstream news outlets covering the launch event. Amongst many interesting new features were the two antennas which were integrated into the outside of the case. These large antennas were meant to improve cellular reception as well as WiFi, Bluetooth and GPS. Physically, the antenna were just two bare metal strips kept apart from each other with a small spacer, and this appears to have had a major design flaw. The problem is that if the spacer between the two antennas is bridged, then the cellular signal appears to drop away to nothing until it loses service, something that has been widely documented on YouTube (for example here, here and here). Because human skin is slightly conductive, then just holding the iPhone in the wrong way can cause this to happen. 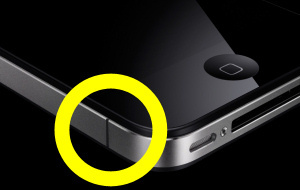 Using Apple's $30 rubber "bumper" surround fixes the problem, as does any type of insulator applied over the bare metal, even tape or nail varnish. Apple's response to this flaw was apparently that users should not hold their phone in such a way, a fairly ridiculous notion that has been picked up on by competitors such as Nokia. Rumours are going around that Apple will try to attempt a software fix for what is a very tricky hardware problem, but Apple have remained very quiet over the whole issue. But perhaps it is not a coincidence that Apple are advertising for three new antenna engineers. It is hard to say what sort of impact this will have on Apple's sales, but this apparent flaw is certainly a major embarrassment. If you thought that the iPhone 4 had its problems, then it's nothing compared to the abject humiliation that Microsoft must be feeling over the Microsoft KIN range. 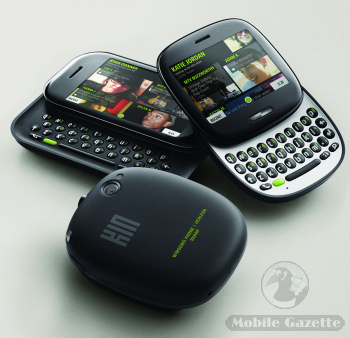 Launched in another blaze of free media publicity, the odd-looking KIN phones were marketed as social networking devices with an innovative software set that actually looked pretty promising. However, sales in the US have reportedly been extremely low with one unconfirmed rumour suggesting that only 500 KIN handsets had been sold. Cited problems included the high price and the inability to load additional applications. Now, Microsoft have now pulled the plug on the entire KIN project, cancelling a European launch for the phone and folding all the remaining KIN development resources into the Windows Phone 7 team. A Microsoft spokesperson told Mobile Gazette: "Microsoft has made the decision to focus on the Windows Phone 7 launch and will not ship KIN in Europe this fall as planned. Additionally, we are integrating our KIN team with the Windows Phone 7 team, incorporating valuable ideas and technologies from KIN into future Windows Phone releases. We will continue to work with Verizon Wireless in the U.S. to sell current KIN phones." We see cancelled handsets all the time, but the KIN disaster goes much deeper than it seems at first glance. Microsoft's "Project Pink" had been working on the KIN phones, not just at a significant fiscal cost to Microsoft, but also pulling away a great deal of human resources from other areas. 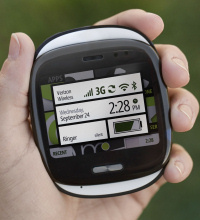 One business unit that was badly hit by this was Microsoft's subsidiary Danger, who are responsible for the technology behind T-Mobile's Sidekick range. Undoubtedly, Microsoft's subsequent under-resourcing of Danger led to the catastrophic Sidekick data outage last year, which did lasting damage to the reputation of Sidekick devices and may well have permanently damaged sales of that line. Microsoft's future in mobile phones now lies in Windows Phone 7, a radical and high-risk departure from what has gone before. If Windows Phone 7 fails, then it is hard to see what Microsoft's future in this market will be. Perhaps a less surprising failure than those of Microsoft or Apple was the First ELSE, developed by Israeli firm ELSE Ltd, which was also widely heralded as an "iPhone killer" by mainstream media outlets. Based on a customised LiMo operating system, the First ELSE's main selling point was the unique and rather beautiful user interface running on an impressively specified hardware platform. Reports from those few people who have managed to get their hands on one say that the handset is very hard to fault. The problem here is very different from that faced by Apple and Microsoft - the First ELSE was going to have to compete in a very overcrowded marketplace of handsets and operating systems, and Emblaze (ELSE's parent company) simply didn't have the resources to promote it in the way that it needed. An official statement from Emblaze says that despite initial interest, the First ELSE has not attracted the partners that it needed and all development will now cease, although Emblaze will seek to license the ELSE Intuition user environment that the phone runs on. Although the world doesn't really need another mobile phone operating system, ELSE Intuition is very nice. Perhaps one of Emblaze's partners such as Sharp can turn it into a marketable mobile device?